Our range of products include niger seed cleaning machinery, seed cleaning machine and turmeric cleaning machinery. Excellence is our forte and manufacturing and trading along with supplying of Niger Seed Cleaning Machinery in the market from our side is a strong example of the same. With its excellent efficiency, this product is demanded in various markets. Meshes depending to a considerable extent on the particular materials being handled. This one is a versatile machine unit of heavy and rugged construction and built for continuous operation day after day. These are made available to our customers at industry leading rates. We have successfully supplied and commissioned a niger seed cleaning, de-stoning, grading and classification plant. Capacity on input basis is 1.8 mt per hour with purity level of 99.3%. The machinery supplied includes bucket elevators, screen grader, destoner, polisher, air-classifiers and dust collection system. The plant is fully mechanized and operated through a master control panel. For further information please visit our website and contact us. 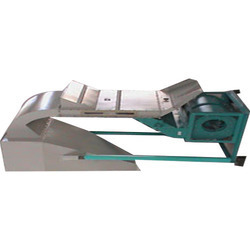 Excellence is our forte and manufacturing and trading along with supplying of Seed Cleaning Machinery in the market from our side is a strong example of the same. 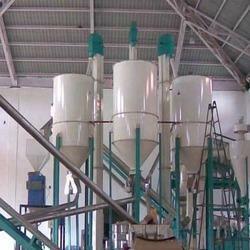 With its excellent efficiency, this product is demanded in various markets. Meshes depending to a considerable extent on the particular materials being handled. This one is a versatile machine unit of heavy and rugged construction and built for continuous operation day after day. These are made available to our customers at industry leading rates. We have achieved paramount success in manufacturing and trading of Turmeric Cleaning Machinery in the market at present. It meets most capacity requirements and lend themselves to a wide degree of adjustments with fineness of the finished product, depending on a considerable extent to the particular material being handled. These result in a fine quality powdered turmeric which is the most basic ingredient in the food industries and is also applicable in a number of medicinal purposes. Avity Agrotech And Industries provides solutions to agro- processing problems by developing innovative and economical processes that lead to greater productivity, better products and high returns on investment. The general process of cleaning turmeric requires high labour input and as a result is low in productivity and variable in quality. Avity Agrotech has developed a range of very efficient and economical machinery for the cleaning and removal of all impurities from the turmeric fingers to give a pure main product that is suitable for grinding or for sale as whole turmeric fingers. The photograph shows a Precision Air Classifier that is used in the separation of all light impurities, dust, dead fingers, wood etc. from the turmeric raw material. Other machinery in the process are screen cleaner, bucket elevator, rare earth magnets and belt conveyor. Complete machinery and equipment for capacities up to 5000 kgs per hour can be supplied, installed and commissioned. Such plants are operating to great commercial benefit to our clients. Looking for Cleaning Machinery ?